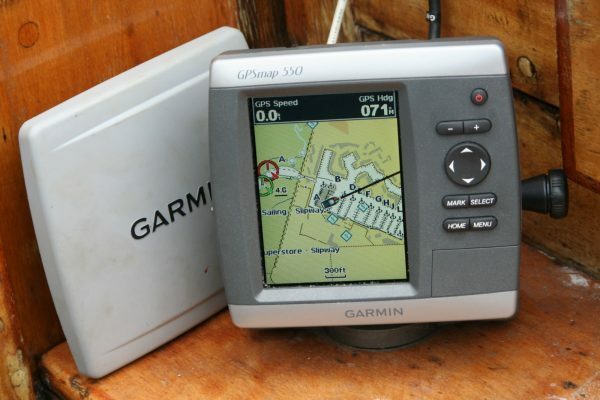 Sold….. similar One Design vessels required for brokerage, such as SCODs, ECODs, VERTUES. 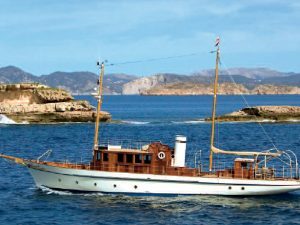 The South Coast One Design needs little introduction as one of the most successful yacht designs of the 1950’s. 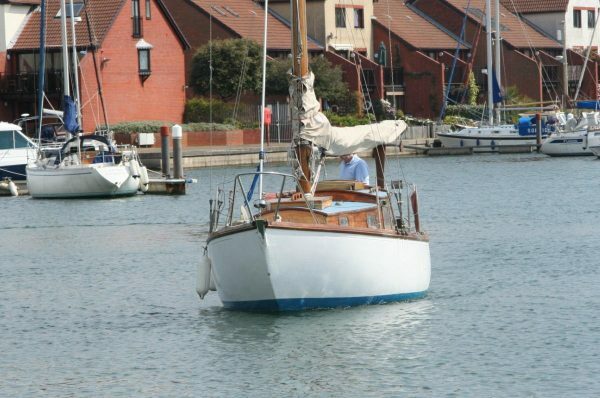 The first of the class, built in 1957 was for members of the Island Sailing Club at Cowes who wanted a cruising boat to sleep four people but which also could take part in coastal Channel races and cruise safely in all expected weather conditions. 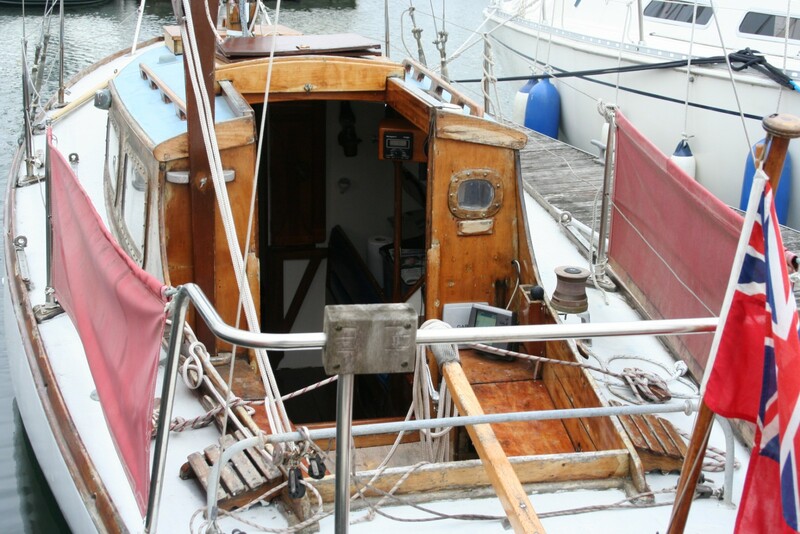 The SCOD proved to be all that was wanted as a one-design and in all, over a period of about fifteen years 106 boats were built by various boatyards, mostly on the South Coast. The Burnes built boats are now particularly sought after and much cherished by enthusiastic owners and members of the thriving South Coast One Design Association. Burgundy was built in 1959 to the standard SCOD design for S J Lawrence of Woldingham, a member of the Royal Harwich Yacht Club and Royal Naval Sailing Association who stationed the vessel at Bosham. In 1962 she was sold to James Schendorf of Shore Hotel, Southampton. 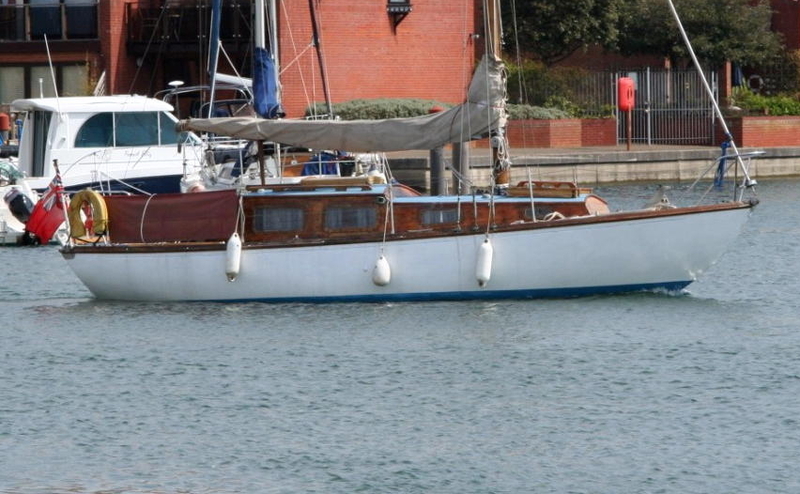 N R Nock DSC became the next registered owner in 1965 and following on with the wine connection re-named her Vino, sailing out of Lymington where he lived. In 1969 DGT Hayes DFC of London bought Vino and moved her to a mooring in Poole Harbour. The final official registered owner was Graham Weall of Shaftesbury, Dorset, who also sailed out of Poole. 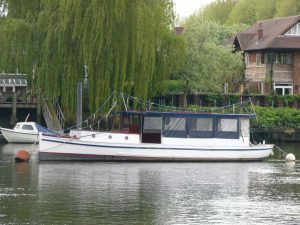 After several successive owners she was re-named Burgundy . In 2003 the vessel had a major overhaul before being purchased by the current owner in 2007. 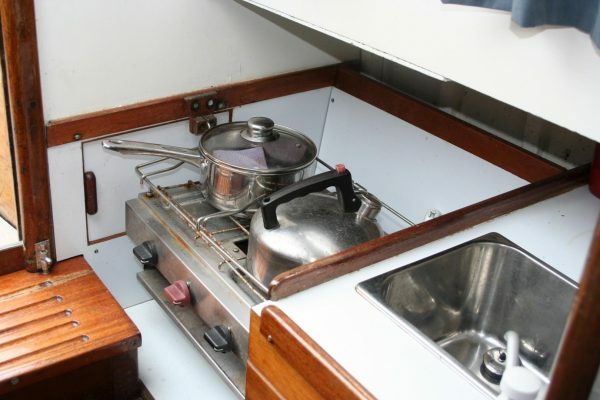 During the winter of 2007/08 Burgundy was re-engined with new stern gear fitted. Since then the vessel has mostly cruised in the Solent. Carvel 3/4″ mahogany hull copper fastened to steam bent oak timbers. 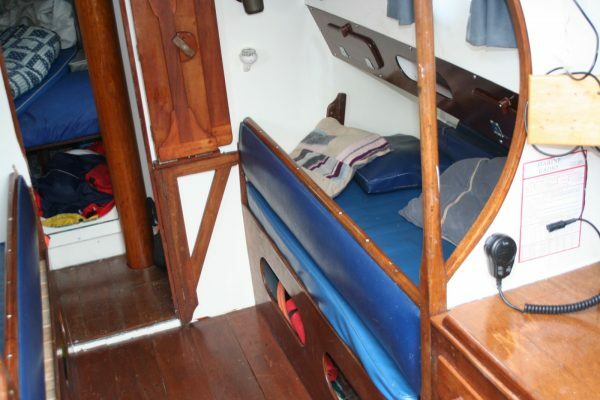 Mahogany deadwood with 2.045 ton iron ballast keel. Sheathed marine-ply decks. Varnished mahogany coachroof coamings and cockpit. 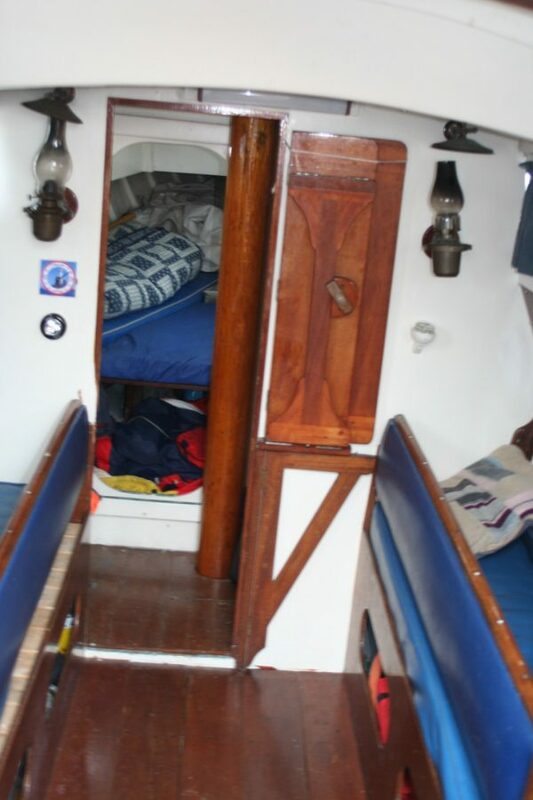 Traditional interior with varnished mahogany joinery and white enamel paintwork. 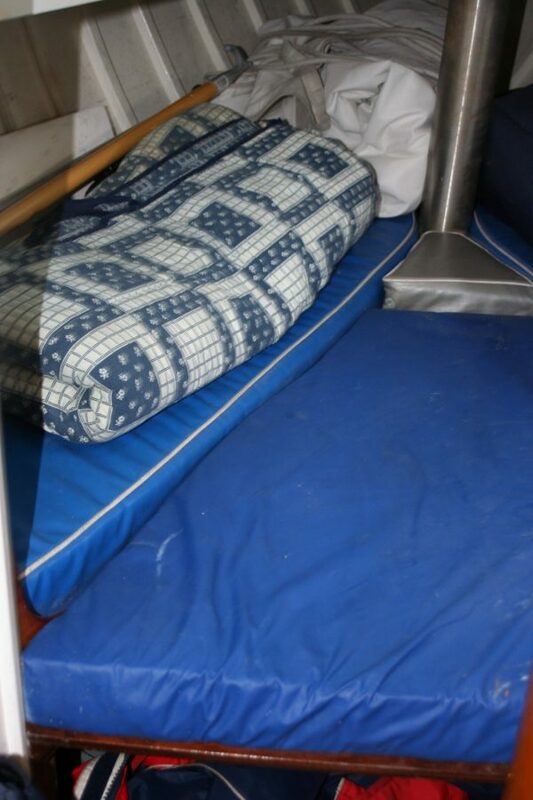 6’2″ headroom. 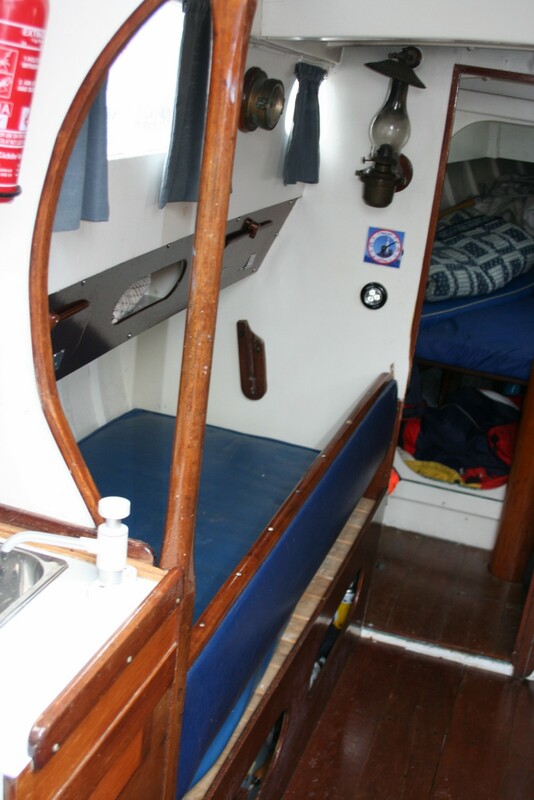 Saloon: Settee berths to port and starboard, fold away mahogany cabin table, clock and barometer, lockers and shelves, navigation station with chart table, Garmin GPS GSMAP 550 (2007) with UK and Northern France charts installed. 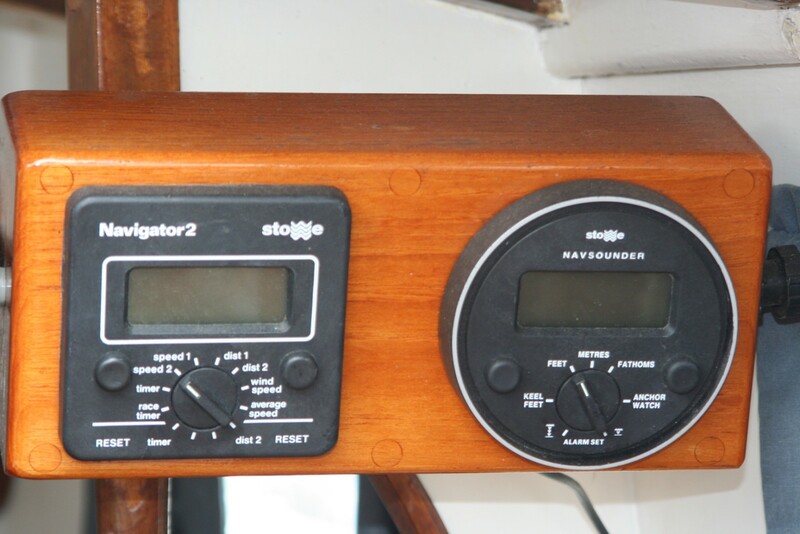 VHF radio, depth sounder, autopilot, speed log. Galley: Plastimo gas cooker, sink unit with freshwater pump, pantry and crockery lockers. Galvanised freshwater tank. 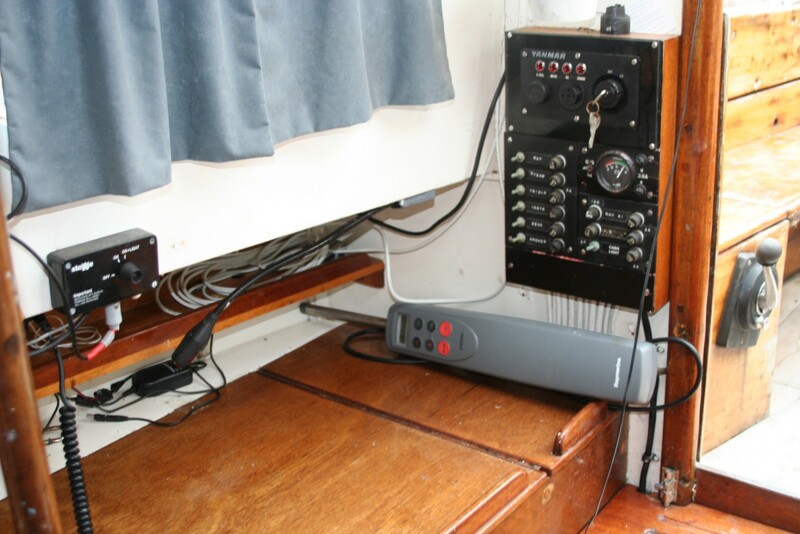 Cockpit: Tiller steering with transom hung rudder. Locker seats. Dodgers. Steering compass. Two sheet winches. Pushpit, pulpit and guardwires. 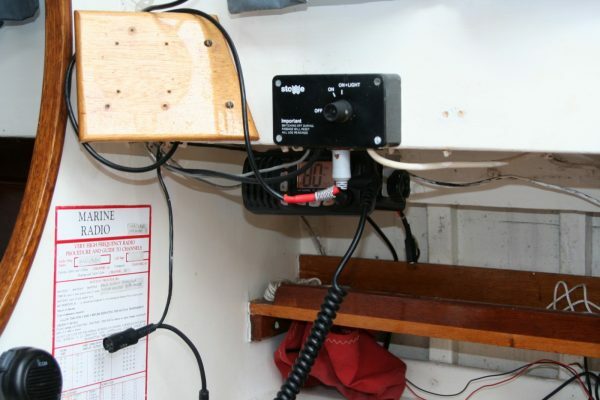 Spars & Rig: Fractional sloop rig sets 280 sq. ft. plain sail. Arun sails include Main, genoa and cruising chute. Spinnaker. 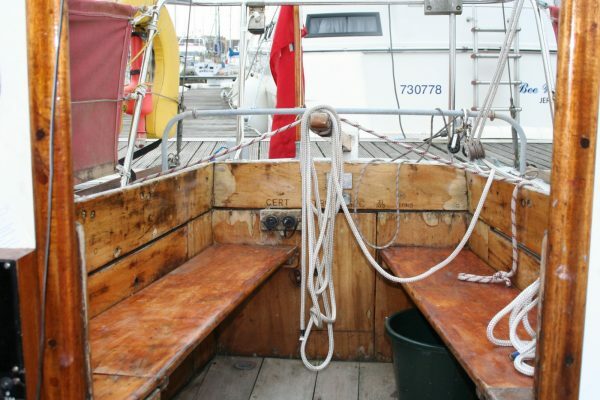 Timber mast and boom, re-varnished with five coats winter 2009/10. Two halyard winches. 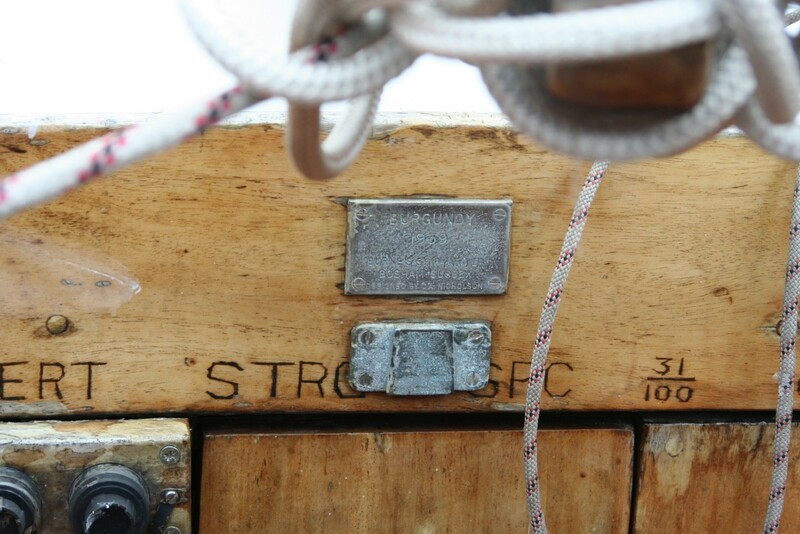 Mainsail roller and slab reefing, Rotostay headsail furling. Gold anodised spinnaker pole. Stainless steel standing rigging. Engine: 9hp Yanmar 1GM10 diesel auxillary, shaft driven. Last serviced December 2009. Two batteries, 12 volt electrics, shore power cable. 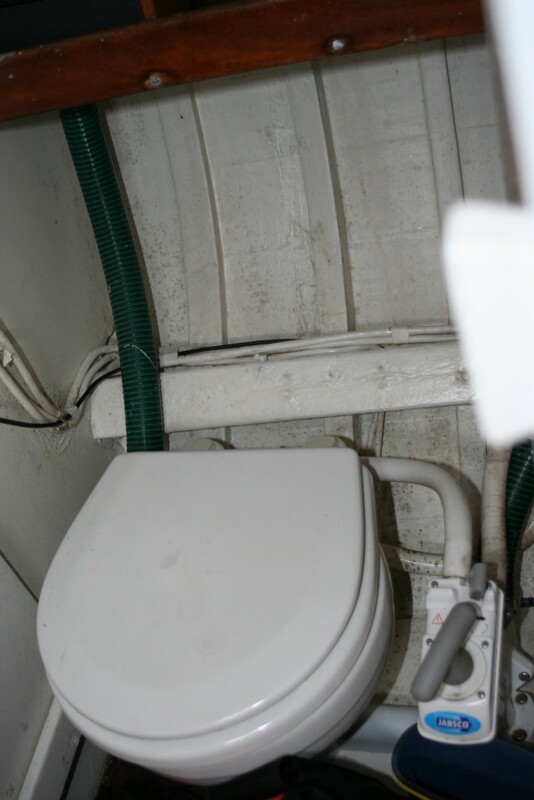 Manual and automatic bilge pumps. Inventory: CQR anchor and chain, unused Tohatsu four person dinghy (2007), warps, fenders, boathook, cutlery, crockery and utensils. Lifebuoy, four lifejackets, fire extinguisher, Navimo XM-L-4P liferaft (new 2010) safety harnesses. The South Coast OD has an enduring popularity and make fine cruising yachts. Burgandy is a good example with the advantage of a recent new engine. 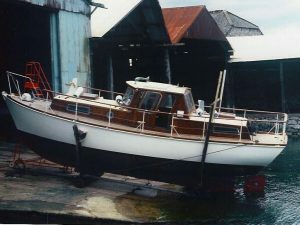 With some seasonal cosmetic work she will be a fine classic sloop with the benefit of a Premier Marina berth until March 2011.